Basically, I get to read them out of necessity, mostly with my students. 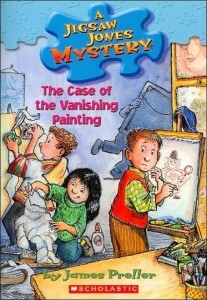 Such is the case with The Case of the Vanishing Painting by James Preller, the 25th booklet in the Jigsaw Jones Mystery Series which I read with one of my thirteen year old Thai students. The story is well-written and is likely to keep kids glued to its pages. When a painting goes missing, Jigsaw Jones and his partner, Mila Yeh, try to find out who stole it. As Parent’s Night approaches and the painting is needed for the art exhibition, little detective Jones tries hard at eliminating the usual suspects. Of course, the “thief” is the last person you’ll ever expect. 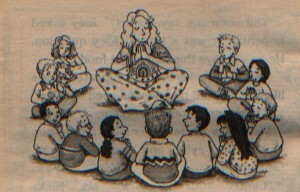 As with all books for children, all’s well in the end and everyone’s friends with everyone again. Our whole class filed into the art room. “Yuck, what’s that smell?” Bobby Solofsky complained. Mila pointed to a wisp of smoke rising from a clay dish. The dish was in the palm of our substitute art teacher’s hand. “Center your energies,” Ms. Nicks whispered. “Does that mean ‘sit down’?” Eddie Becker asked. Anyway, I digress. It turned out that Mr. Simandan was impressed by my Fathers Read project — it’s coming soon, promise! — and sent along a terrific photograph. He’s a gifted blogger and book lover with a lively mind, so he asked if I’d be willing to do an interview. VMS: Everyone seems to believe that children no longer read and, with the availability of affordable e-readers, many believe that, sooner or later, children will no longer want to hold books in their hands. Please comment. JP: I’m not too worried about reading, per say, though I suppose that sustained attention for longer works might be in some danger. Maybe, I’m not even sure about that. I accept e-readers as a natural fact. Things change. I just downloaded some songs to iTunes, for example, and I grew up loving “albums.” But it’s still music, you know. However, however. I do very much believe in the value of THE TANGIBLE OBJECT, whether it’s a CD or a paperback book. I think there’s a relationship to the book that can’t quite be replaced by an e-reader. My good friends have a daughter, Lucy, who spent this entire past summer carrying around Twilight in her hands. She read it over and over, the book was frayed and dog-eared, it was used, handled, and so obviously loved. I think the book expressed something essential for Lucy, it became part of her self-identity. She was the girl who carried around that book, a Twilight fan, and on some level she wanted the world to know that fact. Again, e-readers are fine. You want to read the new Michael Connelly novel, an e-reader might be the perfect choice. But I think we’ll always need some real books in our lives. We attach to them easier. They seem to mean more. I should also add what I often say. 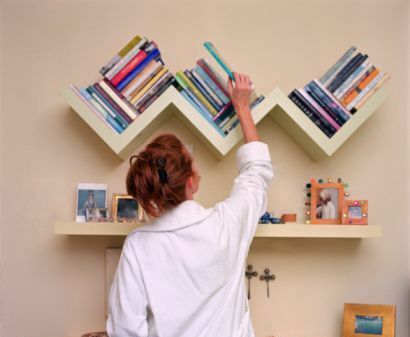 Books are furniture. I can’t imagine a house without them.